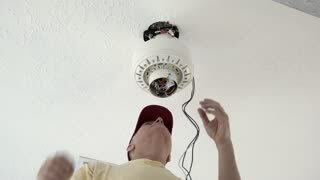 Search Results for "ceiling fan"
Ceiling fan rotating in room and air circulation close up. 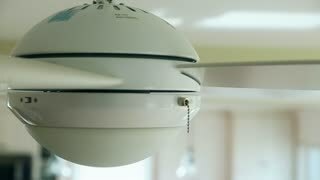 Slow motion electric ceiling fan for air ventilation and cooling in home interior. 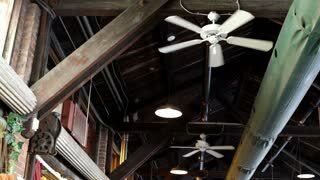 Are you a fan of fans? If so, which way do you like your fan turning? 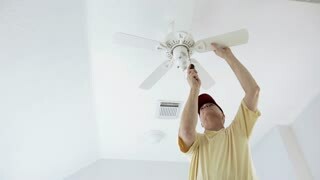 The ceiling fan seen here pleases about 50% of fan fans. This fan, fans, is turning counterclockwise. Old fashioned, dark green ceiling fan is started. In the background a white ceiling, power lines, a fluorescent lamp and a window can be seen. Daylight is reflected in the fan. An Old Bank Interior Ceiling Fan and pressed tin ceiling. Ceiling fan is rotating at the ceiling of the room. Electric climate equipment. Ceiling fan is rotating at the ceiling of the room in frame of 100 dollar bill. Money gain or lose concept. An Interior Ceiling Fan in an Old Bank from the early 1900s. The ceiling is made of decorative pressed tin painted white. Self-made lanterns from cans are suspended on a wooden ceiling and shine brightly. 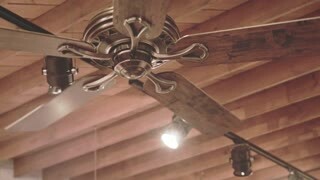 Camera moves around the fixtures and the ceiling fan. 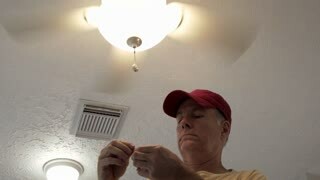 Close up on a hand using the pull cord to turn a Ceiling fan light on , then pulling the cord again to adjust the speed. Camera focused on the fan blades. Hand using the pull cord to turn a Ceiling fan light on, camera directly below the fan, centered in the frame. 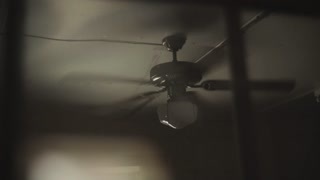 Ceiling fan begins rotating in dark room at night with shadows cast by a single light source. Close up of a ceiling fan rotating on high speed on a summer day in India. Close up of spinning ceiling fan with it's lights on. A ceiling fan spinning on high with the lights on. Close shot of ceiling fan. A ceiling fan spinning fast. Close up of moth clinging to outside of screen door. 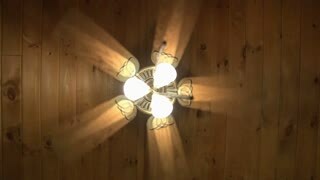 Ceiling fan inside spins and reflects light rhythmically. ceiling fan in a dark dark room.